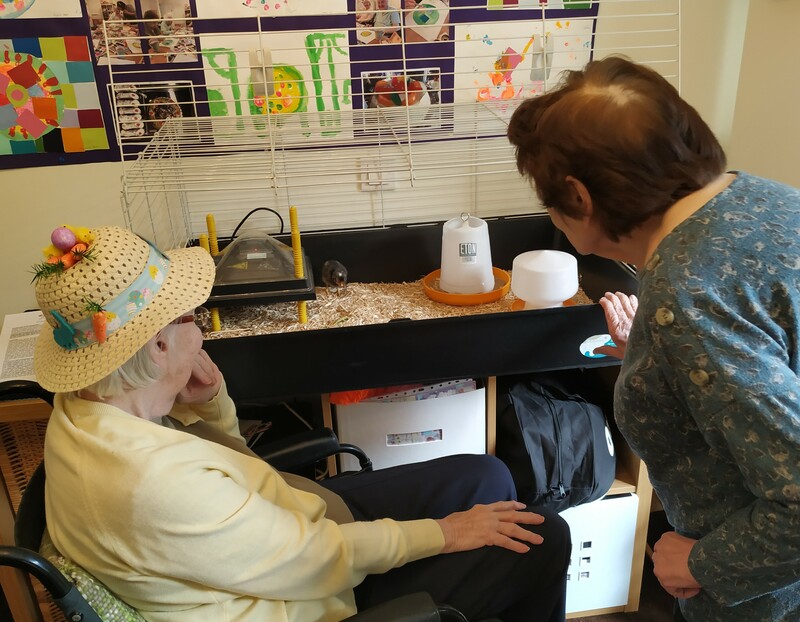 Riversway Nursing Home in Bristol welcomed a fluffy bundle of joy recently as one of the chicks we’ve been caring for finally hatched. The first baby bird, who we’ve named Larry, was born – much to everyone’s delight – and the others are still in the incubator where anyone can come and take a look. 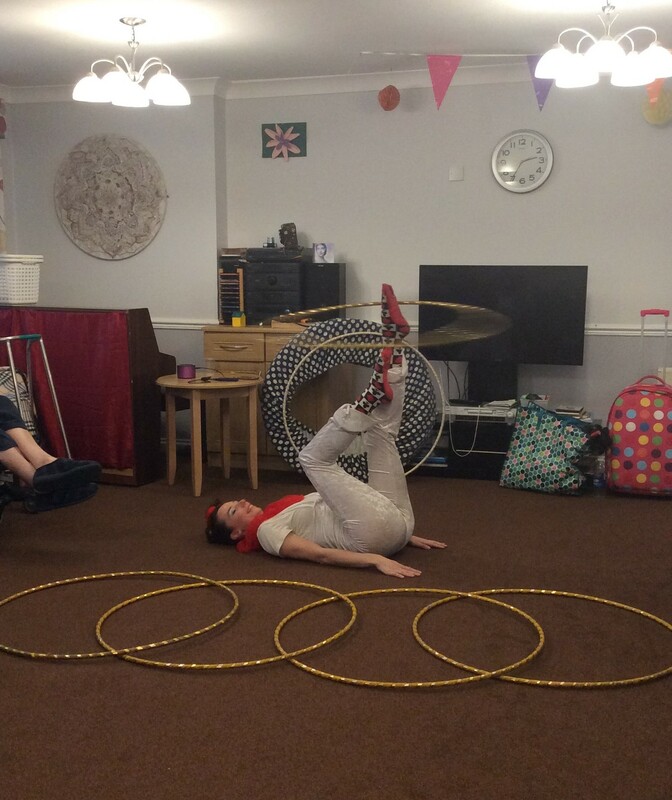 A group of children from a local nursery took time out to visit Riversway Nursing Home in Bristol for an Easter celebration. 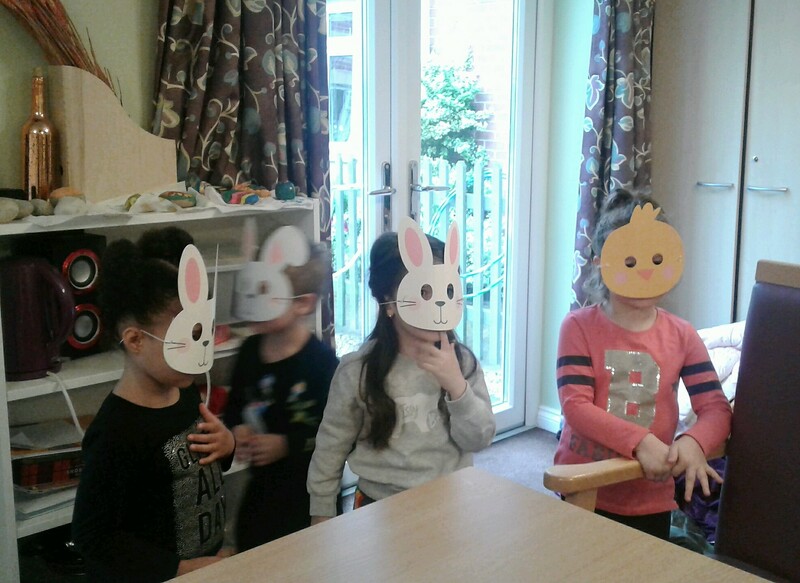 During their time with us, the children visited our ladies and gentlemen whilst wearing colourful animal face masks and delivering Easter treats. The children, from Mama Bear’s Day Nursery, are regular visitors to Riversway and our residents love to see their happy smiling faces. Thank you for your Easter treats Mama Bear’s from all your friends at Riversway. Riversway resident Joyce received an unexpected surprise for her birthday recently. Joyce, who turned 92, was given an amazing Victoria sponge cake by local volunteers Lindsay and her son Tom. The gift was part of the Bake A Smile project which sees volunteer bakers craft birthday cakes for local people. Joyce was so grateful for this lovely gift and gave Toby a big hug. Afterwards staff at Riversway got together to sing her Happy Birthday. 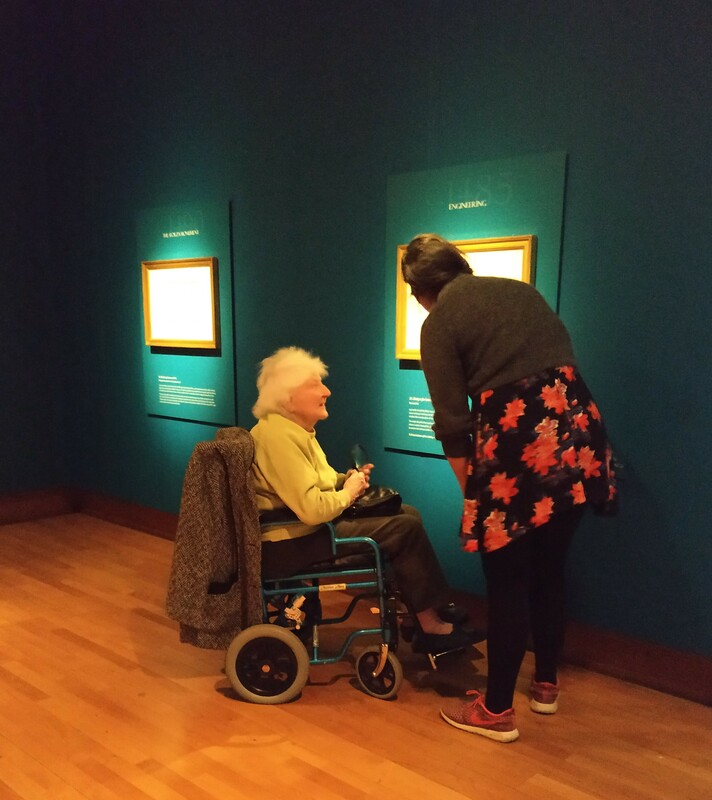 Riversway resident Joyce is a big art lover and was delighted to get the chance to visit a Leonardo da Vinci exhibition at Bristol Museum. Joyce’s father was an engineer who could often be found drawing machines, and her uncle worked on cruise ships, sketching. 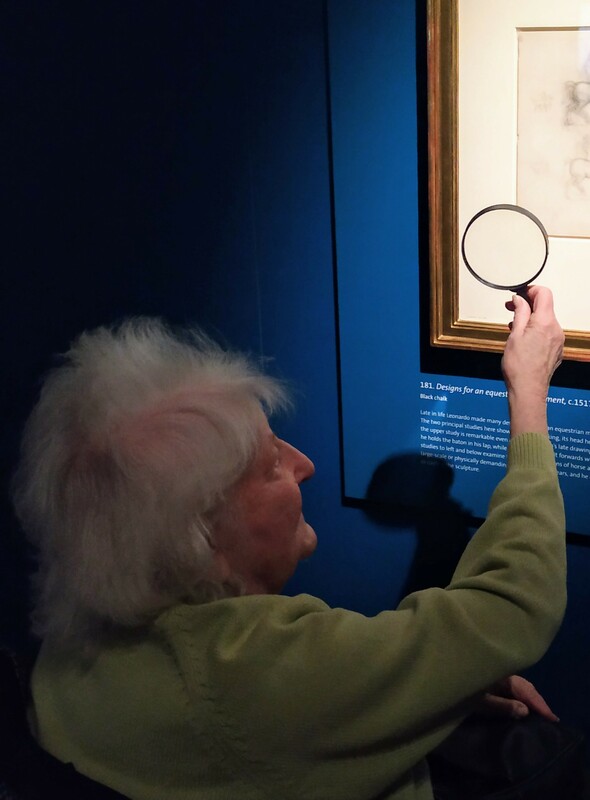 They both taught her the ‘secrets of art and drawing’ and Joyce was the first person we thought of when we were offered the chance to take part in the free activity. 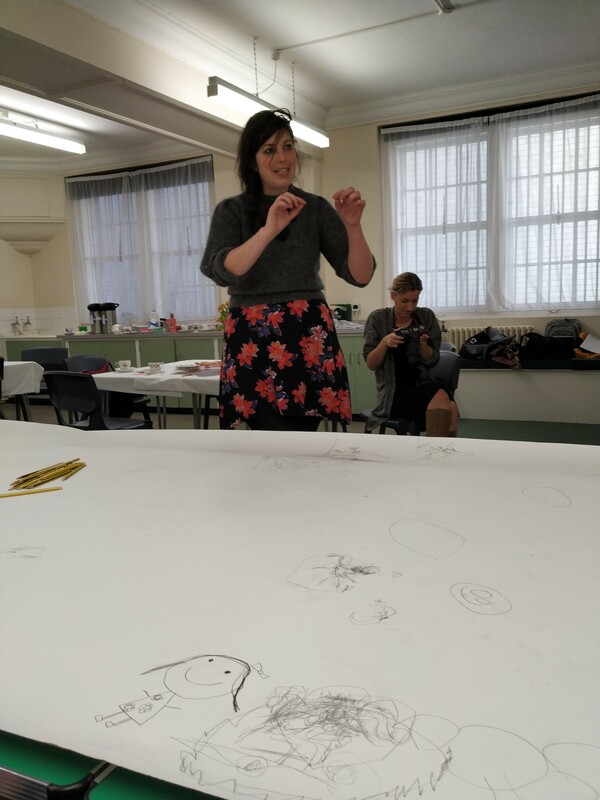 Joyce joined a number of other people from care homes and community groups, and together with artist and sculptor Freya and volunteers, even joined in with an experimental cooperative art activity. 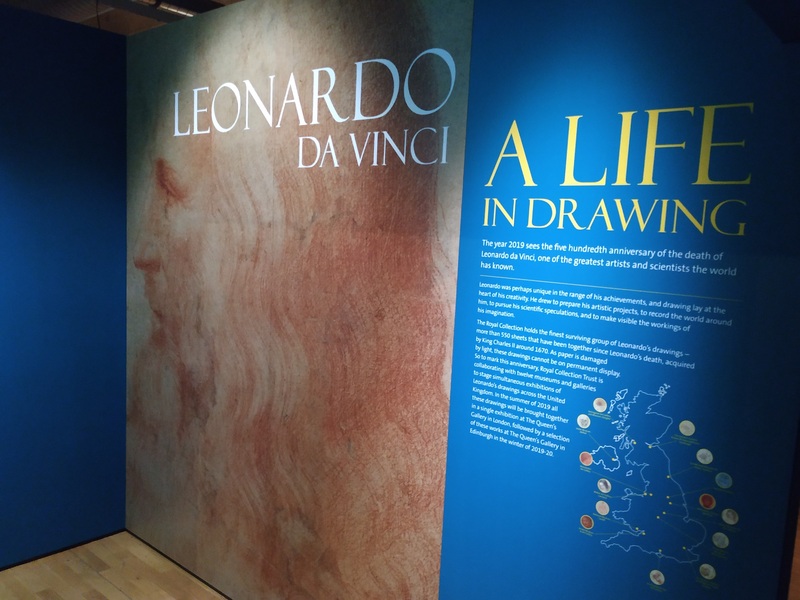 The activity saw them draw a self portrait with their eyes closed, guided by one hand touching their own face. 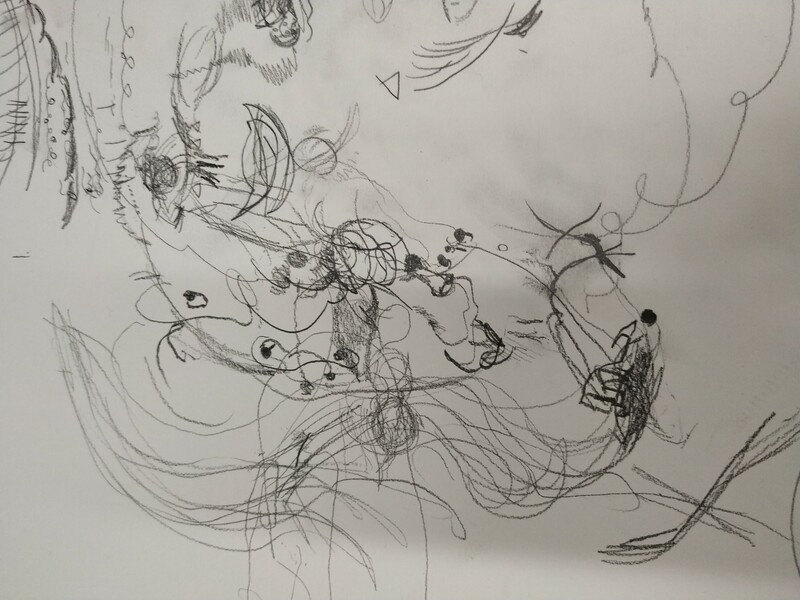 The results were very abstract, but were designed to help those taking part discover new ways to perceive themselves. Joyce had a lovely morning and we’d like to thank everyone who made it possible.